The 2020 Mustang Shelby GT500 has solidified itself as the most powerful street-legal Ford product to date, just unveiled at the 2018 Detroit Auto Show. But hey, the new Mustang Shelby GT350 with faster track times and improved design is no slouch either. Not hard to see why. 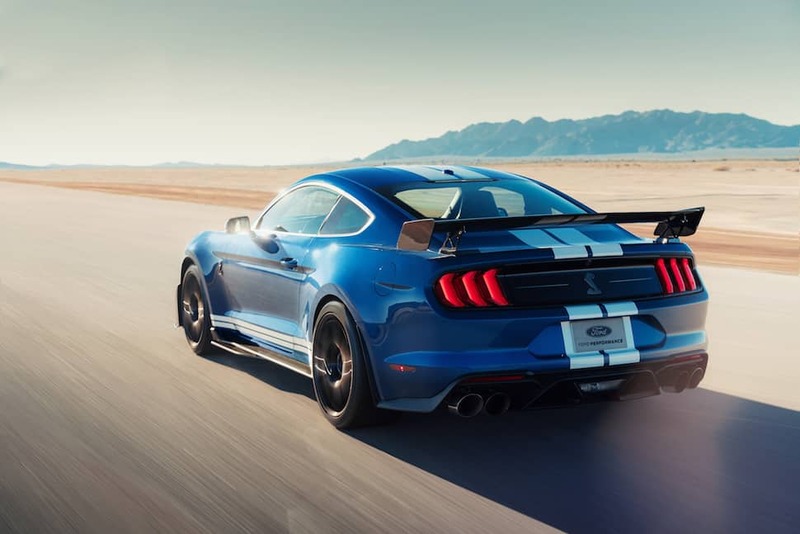 Boasting 700-hp from a supercharged 5.2-liter V8 paired to a TREMEC 7-speed dual-clutch transmission, the Shelby GT500 benefits from Ford’s racing programs to level-up this Mustang to a completely new place in the storied Pony car’s rich history spanning 50-plus years. Expect this beast to hit the 0-60 mph mark in the mid-three-second range, and drag strip quarter-mile in the sub-11-second vicinity. Other updates include a new electronic power steering unit, a revised suspension setup, and lighter coil springs both front and rear. Pricing hasn’t been announced yet, but deliveries of this all-new 2020 Mustang begin this Fall 2019. UP NEXT: Check out all our Mustang reviews here.